Staff were really helpful and friendly. They advised us on trips,would highly recommend this hotel. This 3-star hotel is ideally located for anyone flying from Manchester Airport. Just ten minutes’ drive from the terminals, it’s within easy access of the motorway network and perfect for those early morning flights. The on-site restaurant and bar allow guests to relax and refuel before departure day and combining your stay with airport parking is the perfect way to ensure a stress-free journey through Manchester Airport. 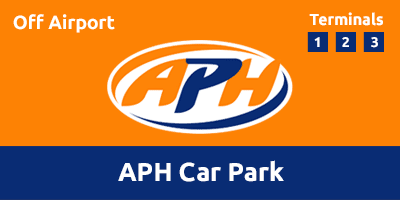 Combine your hotel stay with the incredibly convenient APH Car Park. Taxis to the airport are available at an additional fee. All rooms are en-suite with full facilities. 2 children eat free when dining with two paying adults. Suitable for up to two adults and one child, family three rooms are furnished with a standard-size double bed and standard single bed. Suitable for up to two adults and two children aged 16 or under, family four rooms are furnished with two standard-size double beds. On the day of your flight drive 5 minutes to the APH Car Park and catch the free 5-10 minute transfer to the airport which runs 24 hours a day, every 15 minutes, to all terminals. On your return take the transfer back to the APH Car Park to collect your car. Continue past Junction 4 and then follow signs for A5103 City Centre. Follow signs for B5166 Northenden. Turn right at the traffic lights and then the hotel will be on your left. Exit the M60 at Junction 5. On the slip road stay in the outside lane and follow signs for Northenden. Turn left at the lights and the hotel will be on your left.